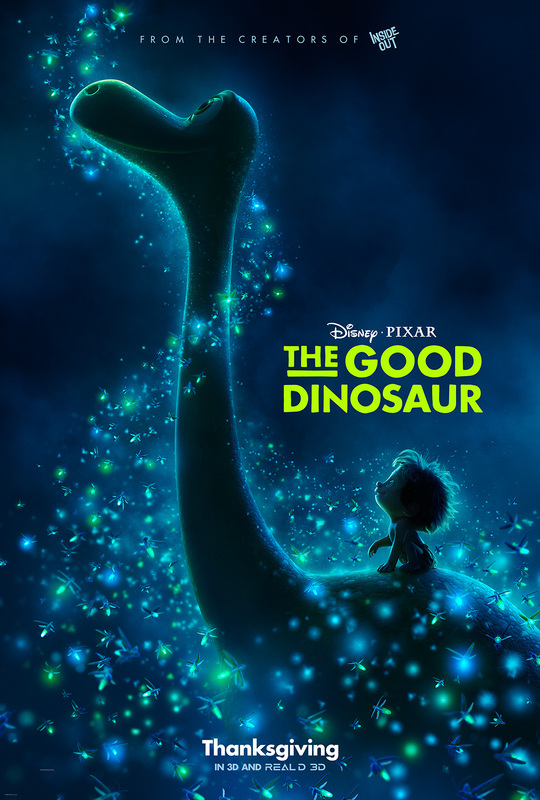 After taking 2014 off, Pixar is back with its second film of the year, The Good Dinosaur. But before I get into the review, let's take a look at the short in front of the movie, Sanjay's Super Team! This short is as charming and heartfelt as any of Pixar's best shorts. It is very different in terms of animation style but the heart and soul of a Pixar short is there. This is a very personal story from director Sanjay Patel. 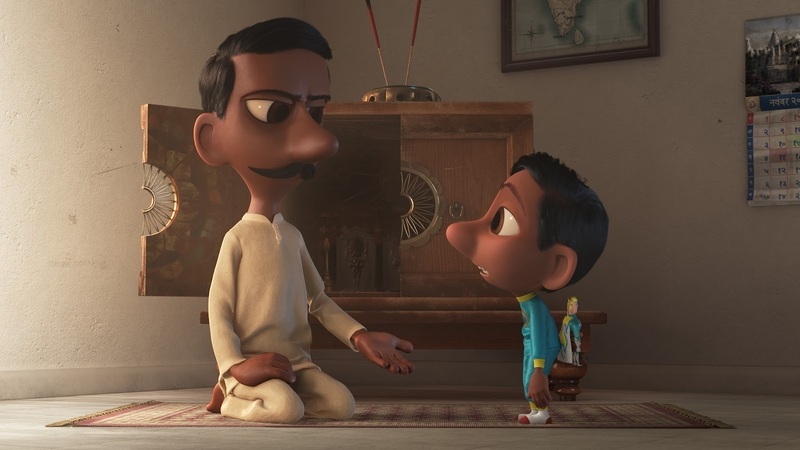 It shows the difference between little Sanjay and his love of Saturday morning cartoons, while his father holds on to his Hindu beliefs and wants his son to embrace his culture and heritage. Who will win out? Watch this heartfelt short to find out. And now to the review of The Good Dinosaur! Here, the premise is, what if the asteroid that destroyed the dinosaurs never hit the earth? The answer is that the dinosaurs would have been the dominate form of life on the planet and learned to speak. So, with that, we meet a family of apatosaurs, who are farmers and have three children who are learning to carry on the work. The smallest child is Arlo, who is afraid of his own shadow. His father is set to make his son believe in himself. But Arlo cannot even do the job that his poppa created for him, which was to keep "critters", in this case humans, away from their corn. A human gets caught in the trap Arlo and his poppa made but Arlo can't bring himself to get rid of the human. This sends the two along a raging river during a storm and the two become separated. Arlo finds himself far away from home. He makes a friend with a human, who Arlo names Spot. Now this becomes a classic boy and his dog story with Arlo being the boy and Spot being the dog. Arlo and Spot slowly become friends and the two now set off to get Arlo home. Visually, this is Pixar's finest effort. The photo-realistic backgrounds are stunning. It is almost as if the animators took real footage. The effect is convincing and adds to the vastness of the space making even a dinosaur as large as Arlo look tiny in comparison. This adds to how lost Arlo is and how far away home is. Arlo and Spot encounter several dinosaurs on their journey but none with a greater impact than a family of T-Rexes. They help Arlo discover that it's not only ok to be afraid, but how to face that fear. The Good Dinosaur is a truly heart-warming and emotional family film, with some great humor that I cannot wait to see again.